The NASCAR driver confronted some fans that were heckling her. NASCAR fans weren't happy with Danica Patrick when she wouldn't sign autographs after a qualifying race at the Pocono 400. So they booed and heckled her. Patrick proceeded to go up to them and explain to them why it hurts when fans do something like that. Danica Patrick, driver of the #10 GoDaddy/Get Found Chevrolet, and Ricky Stenhouse Jr., driver of the #17 Ford EcoBoost Ford, stands in the garage area during practice for the NASCAR Sprint Cup Series STP 500 at Martinsville Speedway on March 29, 2014 in Martinsville, Virginia. "Since I'm old, instead of taking the booing, what I want to tell you is like, I'm doing the very best I can. If you're a real fan, you know that I'm not just like...my job is not to sign autographs, right? My job is to drive a car and to tell the crew chief what's going on. I don't appreciate the booing. It hurts my feelings. I'm a [expletive] person, you know what I mean? I'm a person, too. I have feelings. When you boo me, it hurts my feelings. Okay? Please just be supportive fans. I'll do everything I can," she said. 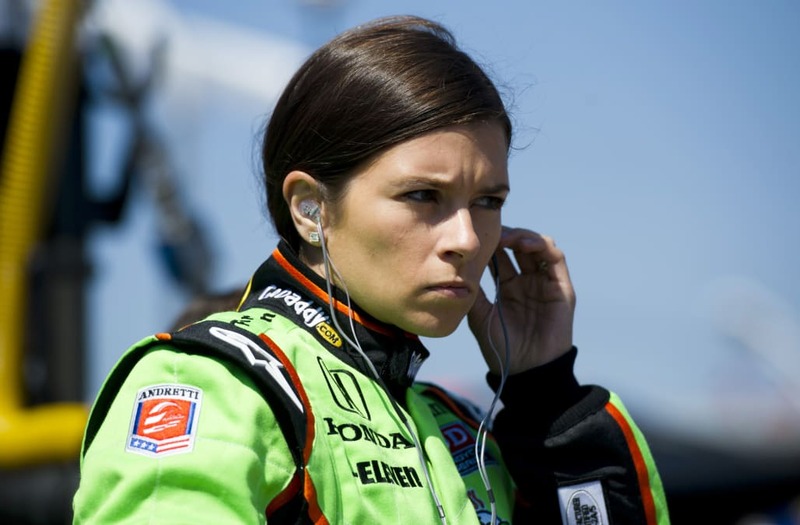 The post Video: Danica Patrick Confronts Hecklers appeared first on The Spun.